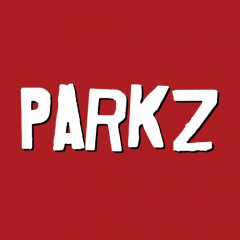 The results are in: with more than 500 member ratings and reviews and some 23,000 theme park "check-ins", Parkz can reveal the best theme park rides and attractions for 2016. I'm trying to get my head around this top-rated list and I just can't see how it truly reflects anything. You yourself have given Superman a 9 and have not even rated Wipeout. If you hated Wipeout and say gave it a 1 it would pull the overall rating down for that ride. Your overall rating of Superman has helped lift the rating of it but because you didn’t give a hypothetical 1 to Wipeout you never dropped the rating of it so how can you compare them to each other. I started rating rides and got bored of it after a few and said I will go back to that and never have. Some of the ones I have not rated yet are higher than the ones I have completed. If I ran a poll do you really think DD will come in the 3rd best ride for 2016? Actually rode DD for the first time yesterday. Have to say I quite enjoyed it! Could certainly do with an extra couple revolutions in each direction to extend the ride time, but it's an enjoyable flat. To be honest I am extremely surprised that Kraken was in the list over Abyss. Kraken maybe a great themed ride but in the end it is just a Tornado- a ride that has numerous examples in Australia. Abyss is a well themed , and from all accounts- well recieved Eurofighter- which is currently unique in the Australian market. Realistically speaking, the ride has gotten a whole lot worse since it opened. 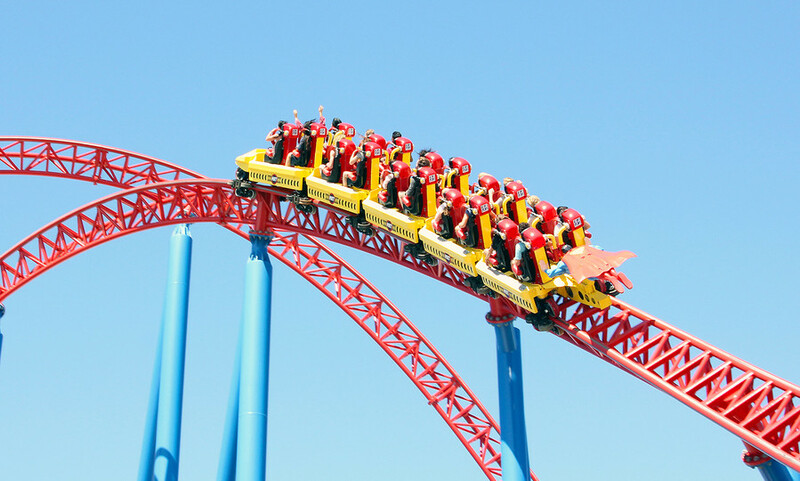 Abyss design is not suitable for Australia's hot and dry climate, and on a hot day the ride can be as rough as the steel Big Dipper when it ran the Drachen Fire trains. It's a fun ride no doubt, but when I rode it a year or two ago it was a headbanger. The positive reception of Abyss was back when it was new. Abyss is great. Sure it can't handle 42 degrees, but it's still a fantastic coaster. I think the back row is smoother than the front, and that's where I usually sit. When the motor engages it has been a bit bumpy lately, but that's about it. You can re-ride Abyss, but not to the extent that you could Turbo Mountain. It's certainly not as rough as Arkham Asylum. Yeah, I've only managed to get a single ride, and that was the front row on a 39 degree day. I'll be back soon enough to ride Abyss again. My opinion might change. Every single attraction's weighted rating is recalculated every time a review is added because these last two numbers change every time a review is added. When an attraction has fewer reviews, the model trusts its average rating less and the average for all attractions more, so most attractions will hover around that average until they have enough reviews at which point the model starts trusting its individual average more. There is definitely a new attraction bias present; I don't believe it's the genuine consensus of this community that Doomsday Destroyer or Kraken belong as high as they do. But you look at those reviews and there's 9s and 10s everywhere. People get excited when there's something new. That is one of the reasons that users can edit their old reviews... opinions change. I like the methodology but two things I'd change: I wish people would be a bit more strict in their ratings, and I wish people would rate more rides they don't like. 5/10 is an average ride and by definition there should be more average rides than anything else whereas our average is around 7-8/10. There are more 10/10 reviews than there are 1-5/10 combined. In other words - Dodgy Dave signs up, logs in, and gives a 10/10 rating to the travelling Crazy Mouse - because he just so happens to work there. He logs off, never to be seen again. Meanwhile - Gazza comes along, and enters a review for a new ride in the database (that he created only a few moments ago) - this brings his total ride count to stupid-hundred-and-one. Unrelated, but something else i'd like to see is an 'I agree' button. For many of us, we feel the same way about some rides (and grossly differ on others). If we disagree with a review, i'm sure we'll make the effort to express a differing opinion (thats usually what the forums do) - but if we agree with the review - then a simple 'i agree' would give that same rating more 'confidence' in the system - effectively it would be another rating of the same value - and would be the database equivalent of an up-vote. Users would have the opportunity to change their 'agreement' the same way they can change their review (except changing agreement would require a full review entry), but you would only be allowed to hit 'I agree' once - so you couldn't go in repeatedly and upvote multiple times. I have no knowledge or idea on how hard these might be - but wanted to raise the ideas for consideration should it be possible. The point though is that Dodgy Dave's 10/10 rating won't count for much if it's the only review of Crazy Mouse. The model will give it less weighting than the "all rides" average. Once there are enough reviews of Crazy Mouse that the model starts trusting its average, Dodgy Dave's 10/10 rating will have been balanced out by other reviews. The 'agree' button functionality did exist until recently but I think it's more meaningful that people agreed or disagreed by posting their own review accordingly. The better option might be to show how many others gave it the same, higher or lower. I would like to see when you join you are asked to rate several attractions. When you have only 18 people rate Superman out of over 7000 members all you can really say is 0.002% members of Parkz rate Superman as the best attraction. I can see it being a good tool but needs more input by members. I have even thought that “very occasionally” when you go to post it might ask you a question about a attraction. So what you're saying though is that Dodgy Dave could get all his carny mates to sign up, leave a single review each, and Crazy Mouse would suddenly find itself the best ride in Australia? It's no different from you leaving a review or any other crazy people we have had here in the past. You don't have to worry anymore, I have already told @Flora you only like TeaCup rides. I think a big thing that makes this system questionable is that people have different reasons why they find a ride good. Plenty of people would base the ride purely off the enjoyment category, and not care about the others. There are people out there who automatically hate on any ride that's not B&M smooth. Some people find theming to be an important component of theme park rides, while others don't care about it at all. Take a look at DD - intensity hasn't been super-high, which a lot of people want a lot of - but since theming is top-quality and being a new ride upkeep is sitting at a solid 100%, it's automatically getting good reviews. On the other hand, GD is getting near-top marks for enjoyment, effectiveness, and intensity, but has fallen down a bit because of its theming, upkeep and efficiency. A lot of people would rate the GD over DD because it is overall a more thrilling ride, but the categories that this system uses puts DD in-front. I don't think it's something that can really be fixed - any system like this is going to have flaws along these lines. If I was creating my own system, I'd probably weight enjoyment, intensity, and possibly even pacing a little bit more than the other categories, because they're what I find makes a ride high-quality. Someone else might prefer to weight comfort, theming, and efficiency over the other categories, so really it's a problem without a fix.